With a total length of approx. 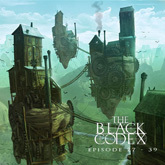 7 hours, divided over 8 CD’s, The Black Codex is a huge musical project, consisting of 52 episodes. 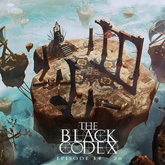 Based on a fantasy story, unfolding throughout these episodes, it features lots of different musical styles and guest musicians. A massive conceptual piece, written in 2014. 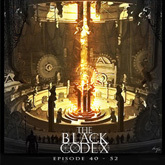 The initial idea for The Black Codex was to have an online music series, with weekly episodes. Each week I would write and record a new song and send it to an mailing list of subscribers. Which I did. The project took off on January 1st, 2014 and ended on December 31, 2014. A huge undertaking, and a great challenge for me. All music and lyrics by Christiaan Bruin. 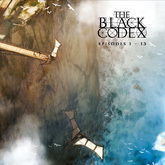 Album cover art by Gregory Fromenteau. Additional drawings by Christiaan Bruin, Maartje Dekker and Yaroslav Gerzhedovich.